Anything in this life that’s worthwhile doing, will likely take a a lot of work and effort. But it’s this exact mindset that keeps us from pursing those worthwhile things. Maybe you want to travel the world, but you only know one language, don’t have a clue about international travel, and can barely afford a greyhound bus ticket. How will you ever achieve such a feat? 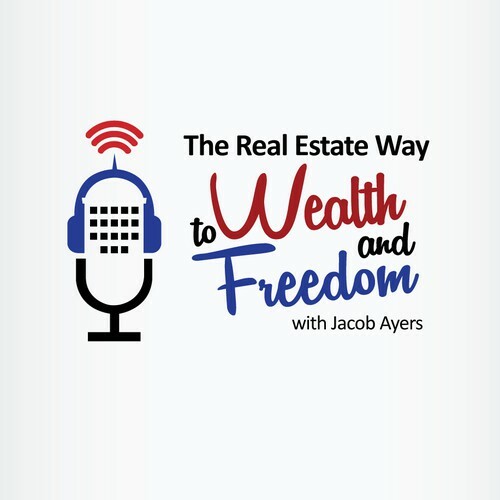 Perhaps you want to build a real estate portfolio that creates financial freedom, but you can barely afford to put any money in your savings account at the end of each month. How will you ever buy your own home, much less other rental properties? Maybe you want to run a marathon, but can barely walk up stairs without becoming winded. How will you ever manage 26.2 miles? By approaching a new endeavor with this mindset, you are defeated before you ever even get started. There is no such thing as an overnight success. Every big accomplishment takes considerable amounts of action. If you can make habit of taking small acts towards your goals, then only time stands between you and that goal. Persistence is key here. By being persistent day in and day out, you’ll eventually have put a considerable amount of time and effort towards your goal. You will gain so much more knowledge and experience that things will become easier. Think of that marathon. You might not be able to run 26.2 miles. But you can run half a mile. Do that. Then do that again. And then again, and then again. You’ll notice it starts to become easier. Then bump it up to 1 mile, then 2, then 3. Every day, take a step (pun intended) towards reaching your goal of 26.2 miles. It might take you 2 months, 6 months, a year, heck even 5 years to be able to run a marathon. But no matter what, keep plugging away at that goal with persistent action. Everything you want to accomplish can be done so with this simple approach. Will you fail? Definitely so. Will you embarrass yourself? You may think so. But probably not. The people sitting on their couch, as you get out there and run a couple miles probably don’t think so. Will you eventually reach your goal? Absolutely. You can only fail if you give up. You can only fail if you quit taking persistent action. People are naturally afraid of making mistakes. It’s normal to avoid risk and failure. That’s part of our DNA as humans. But the biggest mistake you can make is never getting started, or giving up. You won’t ever look back on your life and think “Wow, I’m glad I didn’t give that a try” or “I knew I should have given up on my dream”. So what will you achieve with your persistent action? There’s no limit to your success, so long as you never give up.